Snowgrass Mountain provides an uninterrupted and unparalleled panorama of Washington’s mountain ranges in every direction. There is also great trout fishing in Lake Margaret and a scramble to high peaks and great views. 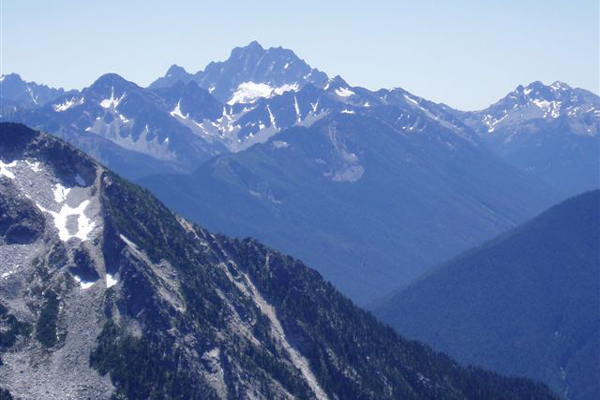 Maps: USGS Chiwaukum Mountains and Jack Ridge. View our topo map (8.5’x11” portrait/landscape or 8.5”x14” portrait/landscape). Note: use ‘Print Preview’ before printing to properly scale this map to a full sheet of paper. Distance: About 6.3 miles to Lake Margaret. About 9 miles to the summit of Snowgrass Mountain, 18 miles roundtrip. Elevation: About 2600 ft elevation gain to Lake Margaret. About 5100 ft elevation gain to Snowgrass. Recommended Season: Mid summer through late fall. –From the east end of Leavenworth, take East Leavenworth road 3.5 miles to Icicle Road. –Turn right and in under half a mile the road hooks hard to the right (at the Sleeping Lady Resort) and heads up Icicle Canyon. Take this hard hook and follow the Icicle Rd another 16 miles past Chatter Creek, across the Icicle River at Rock Creek Campground, and past Black Pine Campground. –Park at the road’s end. 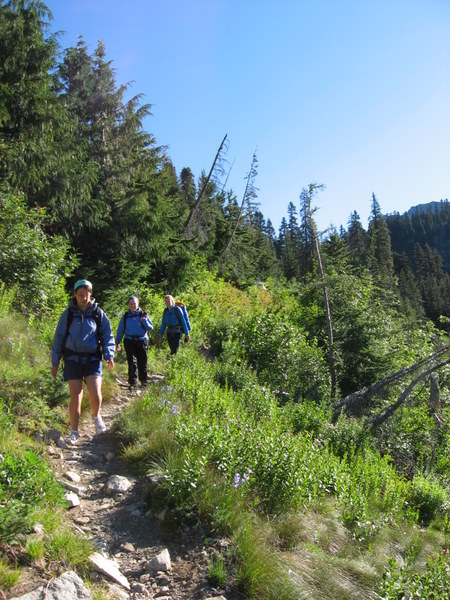 –Hike 1.5 miles along the Icicle Trail and, after crossing a footbridge, you will reach the junction of the French Creek Trail and the Frosty Pass Trail. –At the junction, take the right fork and continue on the Frosty Pass Trail. At 1.2 miles from the junction, turn right and cross Icicle Creek (still following Frosty Pass Trail). –After about 5 miles past the junction, you will reach Lake Margaret–a great place for trout fishing. You will see a sign for Frosty Pass horse camp in .25 mile and another, unnamed trail branching down to the right. Take this other trail to reach the lake. –To reach Snowgrass Mountain, continue along the trail and, in another half mile, you’ll find Frosty Pass. –From Frosty Pass north of Lake Margaret, follow the trail trending southeast toward Lake Mary for about .4 miles. 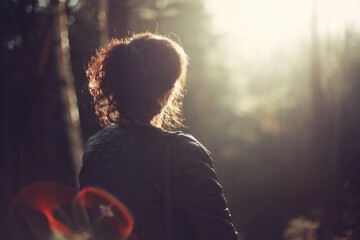 –Branch off the trail and walk cross-country upward. Initially you’ll walk in an easterly direction for about .6 miles and then walk/scramble in a northerly direction for about a mile to the summit. Refer to the cross-country route we’ve noted on our topo map. –Camping areas can be found west of Frosty Pass, at Lake Mary (about 1.5 miles from Lake Margaret), or at Upper Florence Lake (about 2.9 miles from Lake Margaret). The trail at about the 4800-foot level short of Lake Margaret is grown over due to light trail use and is simply inconvenient–watch for rocks beneath the growth. Gaining the peak can be treacherous (particularly if you deviate from the easiest route) and is a challenging option; otherwise you’re looking at a good, healthy, strenuous hike with fabulous views. –Bring a fishing rod–Lake Margaret had nice, feisty cutthroat trout with brilliant coloring. –For an interesting loop possibility, carry on past Lake Mary to Ladies Pass and then come down the Chatter Creek Trail. From the Chatter Creek trailhead, walk or ride a bike a little over three miles back to the Icicle Creek Trailhead. Uses Allowed: Hiking. Horseback riding is also permitted in certain areas, though the Lake Mary is foot traffic only. Uses Not Allowed: Mountain biking and motorized vehicles are not permitted. 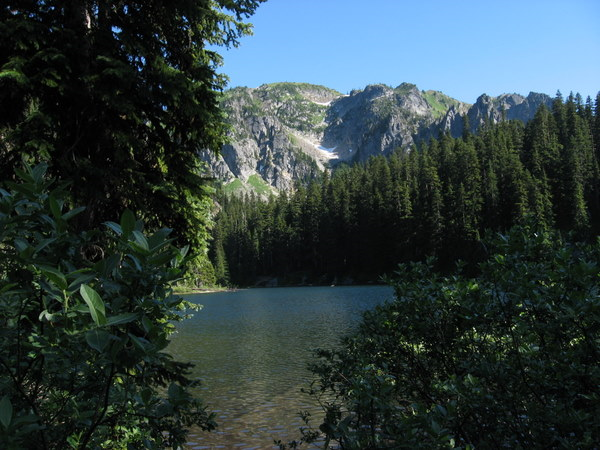 Land Designation: National Forest, Alpine Lakes Wilderness. 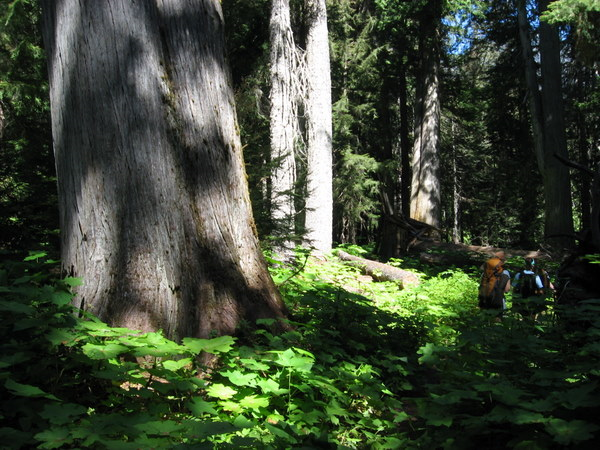 Fees/Permits: A Northwest Forest Pass is required for parking at the trailhead and passes are needed for overnight camping. Hikers can self-register for passes for camping at Lake Margaret and Lake Mary at the trailhead. 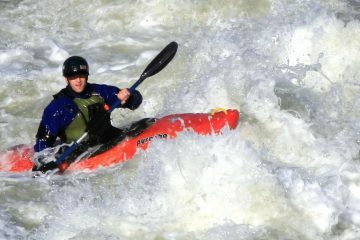 If you have any questions, call the Leavenworth Forest Service at (509) 548-6977. Trail up to Margaret Lake is a nice trip for warm days. The trail stays in among the trees for the majority of the hike. 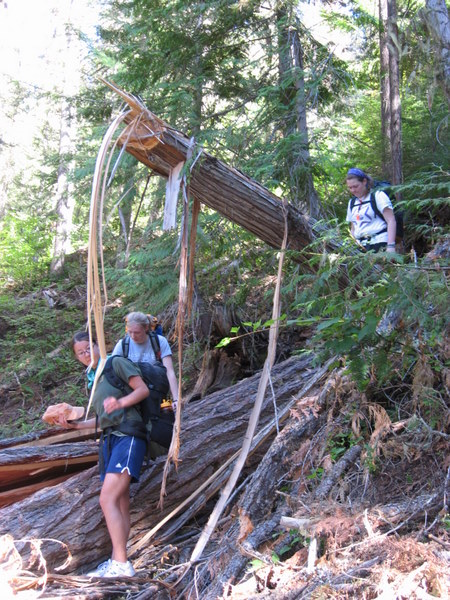 The first portion of the hike follows the wide, well-maintained Icicle Creek Trail. Trail maintenance on the Frosty Pass Trail is poorer. Windfall from the winter storms frequently crosses the path. Fortunately, the debris is usually only single trees that can be circumnavigated without too much trouble. There are one or two windfalls (see photo on the left) that are a bit more challenging. Meadow portions of the trail have become overgrown, though it is still possible to distinguish the trail beneath the plant life. Bugs along this trail were really bad–biting flies during the day and evening, heavy mosquitoes in the morning. May 2008 Update: The Icicle River Road was washed out by a massive land/snow slide in mid May near Doctor Creek. Motorized access to this trail will not be possible throughout all of June and probably well into the summer. Check with the Forest Service (509-548-6977,then 0, for front desk) to learn the status of the road. You can drive to the washout area, park nearby, and walk around the slide (not real easy but doable) and then walk or ride a mountain bike along the road–which actually provides a rather unique opportunity to have the trails leaving from the upper Icicle to yourself.